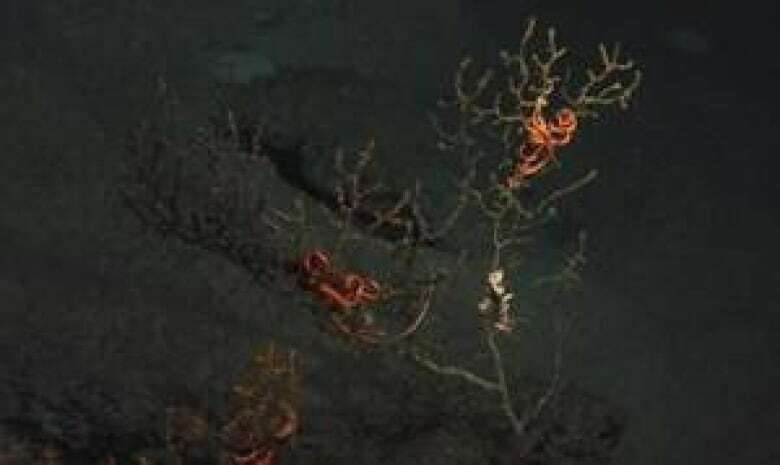 Deepwater coral near the site of the April 2010 Gulf oil spill shows signs of damage, say researchers who have investigated using a small submersible. 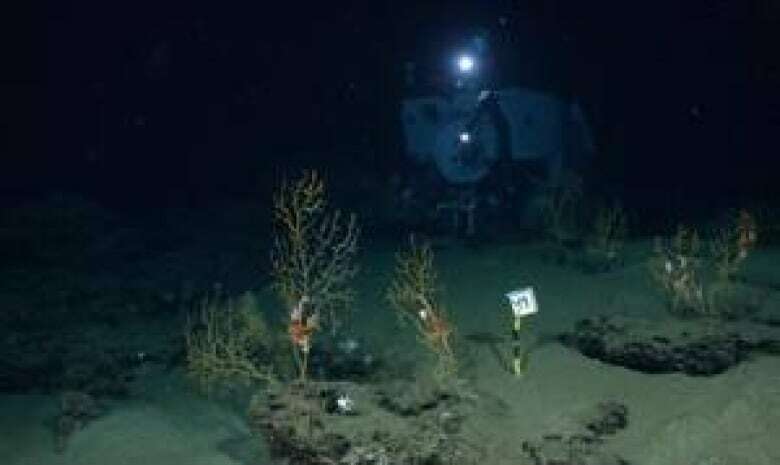 Underwater investigations near the site of British Petroleum's Gulf of Mexico spill in 2010 show lasting damage to deepsea coral, suggesting that oil may have been dispersed, but did not simply disappear. The research was conducted by University of Pennsylvania biologist Charles Fisher using the U.S. navy's Alvin submersible. The corals his team studied were at a depth of 1,300 metres and 11 kilometres from BP's Macondo well, site of the spill. During the days oil gushed from the well into the ocean, chemical dispersants were used extensively to keep oil slicks from washing up on the Gulf Coast and despoiling beaches, barrier islands and coastal swamps. "I believe we have found that a good bit of the oil did end up in the deep sea," said Fisher. Despite the lack of light deepwater corals receive, they tend to be quite colourful, often exhibiting pinks and bright reds. The ones his team found on their first expedition in October 2010 were covered in a brown gunk. Normally, a coral would protect itself with a mucous. "What we found out later, when we went back in December, we collected some of those corals and the tissue underneath the parts that were heavily covered were either dead, dying or gone," said Fisher. This information could hold important lessons for future oil drilling in Canada's offshore waters, particularly the Arctic Ocean. "We're certainly going to have to rethink how we can deal with something like this. Perhaps re-evaluate the use of chemical dispersants. But we certainly are not prepared to deal with this right now," said Kim Juniper, a deepsea ecologist at the University of Victoria. Juniper argues we will be absolutely powerless to clean up oil in the deep sea because industry has focused most of its efforts on mopping up or dispersing oil from the surface of the water. The Gulf of Mexico spill began April 20, 2010, when BP's Deepwater Horizon drilling platform exploded and sank, killing 11 workers. The accident set off a sea floor gusher that wasn't capped until July 15, 2010. Roughly five million barrels of oil were released during the three months that the well spilled out of control. The results of Fisher's investigations will be published online in the early edition of the journal Proceedings of the National Academy of Sciences.